Visit one of the most unique landscapes on earth! 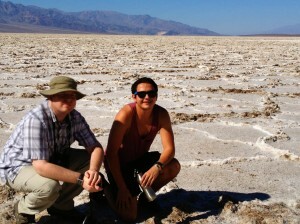 Our Death Valley Day Tour offers spectacular highlights of this desolate terrain. This journey takes you right to the heart of Death Valley. 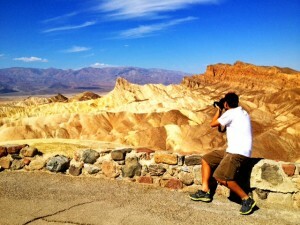 Breathtaking photos opportunities at Dante’s View and Zabriskie Point. A stunning scenic drive through the Artist’s Pallet and of course a stop at Bad Water Basin-at 280 feet below sea level this is the lowest point in the Western Hemisphere! Take a walk out on the most protected salt flats on earth. Stop at Furnace Creek visitor center, the Devil’s Golf Course and browse the Death Valley gift shop heading back through the Mojave Desert in time for some good old fashioned Vegas nightlife! Park entry, transportation in a modern and spacious SUV or minibus. Departs from Las Vegas at 8 am and arrives back in Las Vegas at approximately 6 pm. Departs FRIDAYS AND SUNDAYS year round.